Which attributes will Drive the future of M-commerce in & beyond 2017 ? The use of smartphones among people are largely growing and is yet to touch it's saturation level. On one side there are increased smartphone users and in the other side customers prefer searching and buying through M-commerce Mobile applications. So every retail must consider carefully this Mobile Shift and see the best possible ways to master this shift. Smartphone is a powerful medium for the interaction with customers anywhere and any-time. As of present scenario , both offline & online retail business owners are taking keen interest in exploring the oppurtunities in mobile commerce applications . U.S Mobile Commerce forecast says that M-commerce will double by 2020. By the end of the 2017 , there would be 4.47 billions of smartphone users. So , if you are an online retail business then you must understand certain attributes that will drive the M-commerce in the year of 2017 and beyond. Mobile App Marketing is looking up and that we must check for the reasons to invest in Mobile App to sell your product through online. 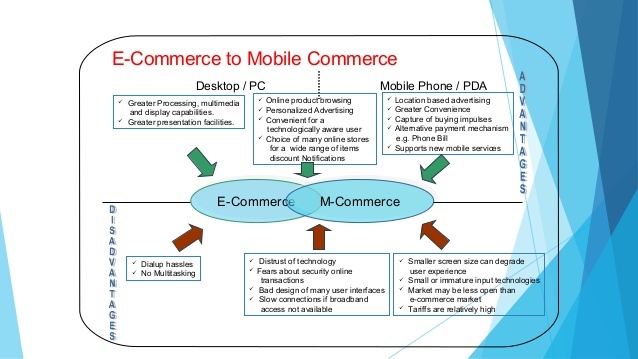 Why you must invest in Mobile Commerce while you are already having Mobile Website? 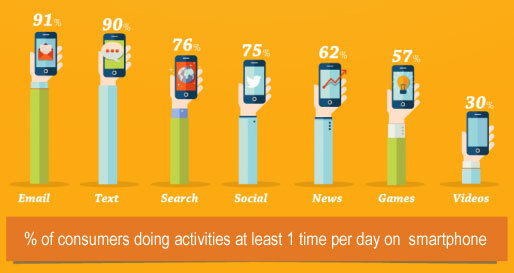 As life has become digitized , our every day life is bounded with gadgets. Customers' prefer to use smartphones for product orientation as well as for making a purchase . Mobile Apps are more responsive than a Mobile Website and Native Mobile App also helps to increase conversion , user experience and customer loyalty. For a better Mobile experience retail businesses must invest in Mobile Apps for the viral reach of your business. This is because of the fact that customers are more accumulated by smartphones. The Ecommerce realm businesses who are already gaining attention of desktop users , must check for a powerful medium to attract smartphone users. 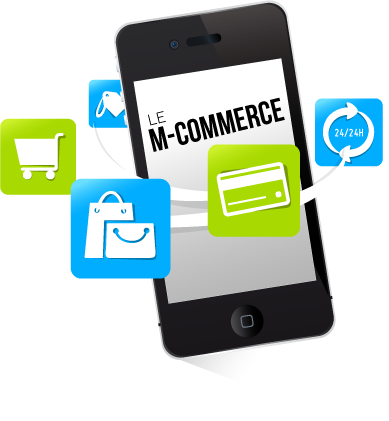 As smartphone users are growing at a tremendous rate retail owners must rely on the M-commerce Mobile Application. The research conducted by the flurry reports shows that 90% of users prefer the Mobile App and only 10% prefer Mobile browser . This statistics should be looked through carefully as mobile applications are much more preferred rather than searching an information through mobile browser. The time they consume with mobile app increased to 198 minutes in the last 3 years whereas the mobile browser the time consumption is decreased to 22 minutes. Research conducted by Opera Media Works reports that 37% of consumers prefer online shopping through mobile app and 23% of consumers prefer mobile website.The remaining 40% of indifferent people have admitted that they find shopping apps are much more easier for purchasing products. 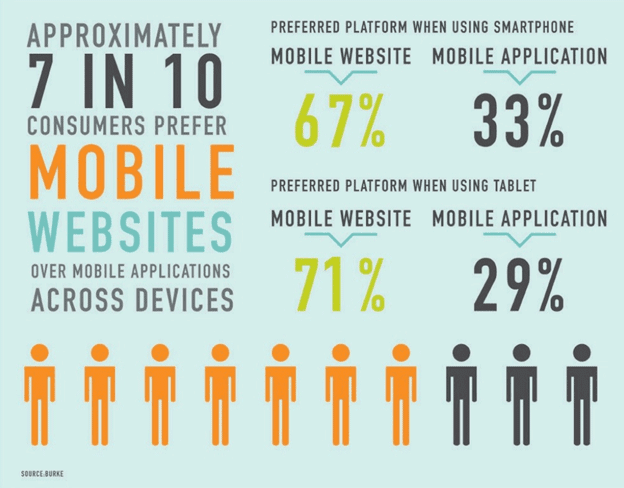 The above statistics clearly showcase that Mobile Apps are more prefered than mobile browsers or mobile website. With the help of GPS service , customer can track the Geo - based information like company offers from in and around a particular area. The augmented reality (AR) and wearable technology in Mobile App gives a way to track the location based information. With diversified purchase option for the customers , they are finding quite easier to purchase product convenient and safe. This in turn helps to rule out the old nomenclature of standing in a queue for long time to purchase the product. This year retailers are going to implement more options for Smart phone users . Retailers have started to implement the one-touch purchases and fast-order placement solutions. Customers can make payment easily through their favourite app downloaded from App Store. It is the best simple way to with single touch customers will be able to make payment through the retailer smart phone app. There are sometimes customers may be overwhelmed or confused to make purchase because of more purchase option available to them . These dilemmas or confusion should be sorted first . Before they make the decision of purchase you can allow them with Chat options so as to aid them in making a crystal clear decision regarding the purchase of the product. NFC (Near Field Communication) involves payment transaction with two devices. Once is the NFC enabled device (smartphone ) and another one is the payment terminal that detects this NFC . The customer first tap the smartphone with the payment terminal so that NFC is detected and thus making convenient for the money transactions. With just a tap between the smartphone and the payment terminal the transaction is made easier. Most of the searches in current scenario is done by using Google App voice query. Siri , Google Assistant , Alexa , Cortana are some of the best voice control technologies out there today. Google says about five in one searches are from the voice search. After making payments , it is also important to get a feedback from the customer about the purchase or review of the product.